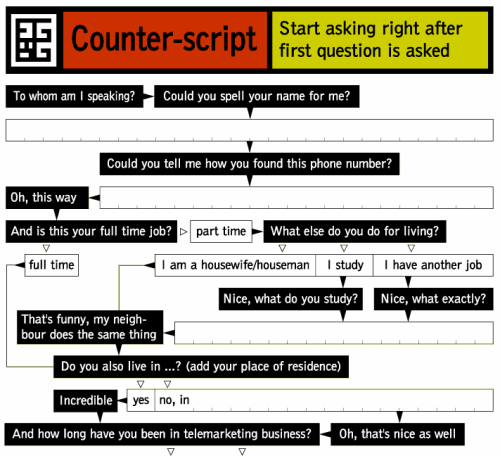 Martijn Engelbregt’s Anti-Telemarketing Counterscript seems like a fun way to handle unwanted sales and marketing calls, although I haven’t yet had the patience to try it out! 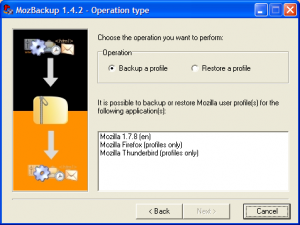 MozBackup is a free utility for backing up your Mozilla, Firefox and Thunderbird profiles. Mozilla haven’t yet released an official backup tool, and while it’s possible to achieve the same effect by manually copying folders, MozBackup makes the process much simpler. Lifehacker points out a quick and easy way to work on two documents side-by-side. Simply Ctrl+click their buttons on the task bar and select Tile Vertically. You can also use Ctrl+clicking to tile horizontally and close or minimize multiple windows at once. I’ve been using Windows XP since it first came out in 2002 and this was news to me! Microsoft’s free Office 2007 Compatibility Pack includes the new Windows Vista fonts (Calibri, Cambria, Candara, Consolas, Constantia and Corbel) so that XP (also Windows 2000/2003) users can enjoy them too. The “5 Cs” are very easy on the eye and it’s nice to be able to get hold of them legally without having to shell out for a copy of Vista. Indev’s FlashMute is a handy tool which allows you to mute either all Flash movies or your entire browser, which is useful when you’re listening to music on your PC while browsing. It supports most popular browsers.